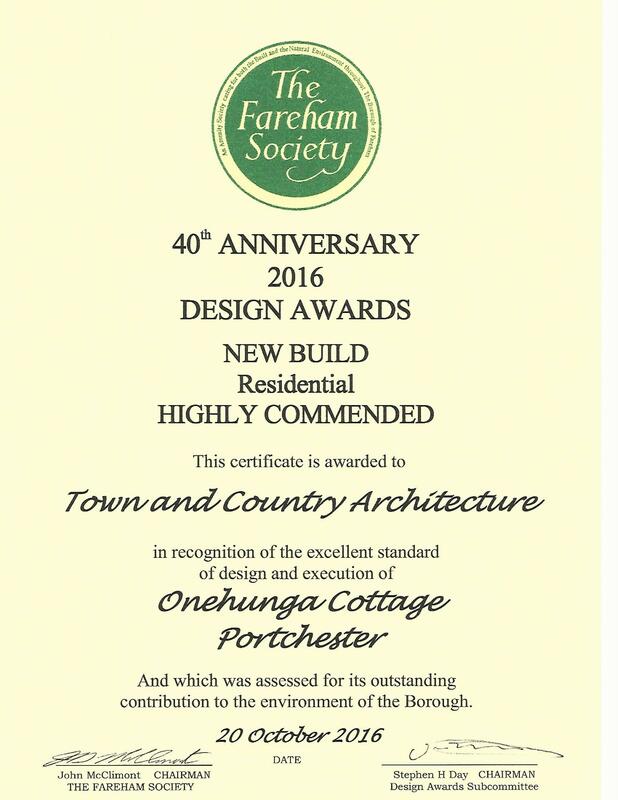 Town & Country Architecture have been honoured to receive three bi-annual design awards presented by the Fareham Society in 1996, 2002 and 2016 for new build works for Community, Commercial and Residential new builds in recognition of the high standard of design and execution, considered to be a noteworthy enhancement to the community. As part of the ongoing commitment to our Professional Institutes, the Practice carries an adequate level of Professional Indemnity to protect the client in the unlikely event of negligence on behalf of the Practice. It is the policy of Town & Country Architecture to operate a quality system in accordance with BS ISO 9001: 1994 requirement. Town & Country Architecture is a member of the Chartered Institute of Architectural Technologists and Associate member of the Chartered Institute of Builders, both well respected professional bodies within the industry. The Practice operates a fully computerised system offering the latest Information Technology and Computer Aided Design software allowing a high standard of presentation. Town & Country Architecture are committed to the principles of sustainable development and fully aware of the Discrimination of Disabled Act to bring about energy efficiency and all-inclusive development for all. Computer technology is improving rapidly and as such the Practice is committed to the most up to date AutoCad package of Computer Aided Design whilst appreciating that good design still remains a human skill.